We have the manufacturing ability to work with your production and engineering staff to design a custom wiring harness or cable assembly to fit your specific needs or applications. We can develop molding solutions that will make sure you have a replacement product that functions AND protects your product from the elements of rain, snow, ice, heat, etc. We design and build fully sealed wire harness solutions to eliminate junction boxes, termination strips, wire taps, scotchloks and other non-weather proof connectors in 4 way, 5 way & 7 way harness solutions. Give us a call and let us design and build a custom harness or specialized wiring solution for you. Custom wire harnesses are available in small quantities or large quantities; All dictated by your needs. We use domestic components in our wire harnesses. Our wire, terminals and plastic are manufactured by American companies produced by American workers. 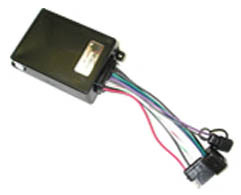 Custom wiring harness assemblies are easier to install and reduces your installation labor as well as create a more appealing product for your customer. 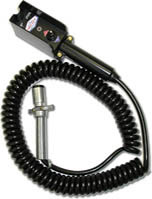 Why should I consider Vanguard Manufacturing for my trailer wiring harness needs? We offer a completely sealed wire harness custom built to your specifications or you can get the same high quality in a standard wishbone trailer harness to fit your specific needs. We are dedicated to providing a Quality Product, at a Competitive Price, Delivered On Time. We have been making trailer wiring harnesses for over 38 years, so we know what we’re doing and we stand behind every product we make.